The maintenance aspect of landscape is easy to overlook, but can make a big difference in the appearance of a space. Pruning of Ornamental Trees and Shrubs - Regular trimming will help landscape plants keep their desired shape and size. Weeding and Mulching - When left unattended, gardens can be overtaken with weeds. 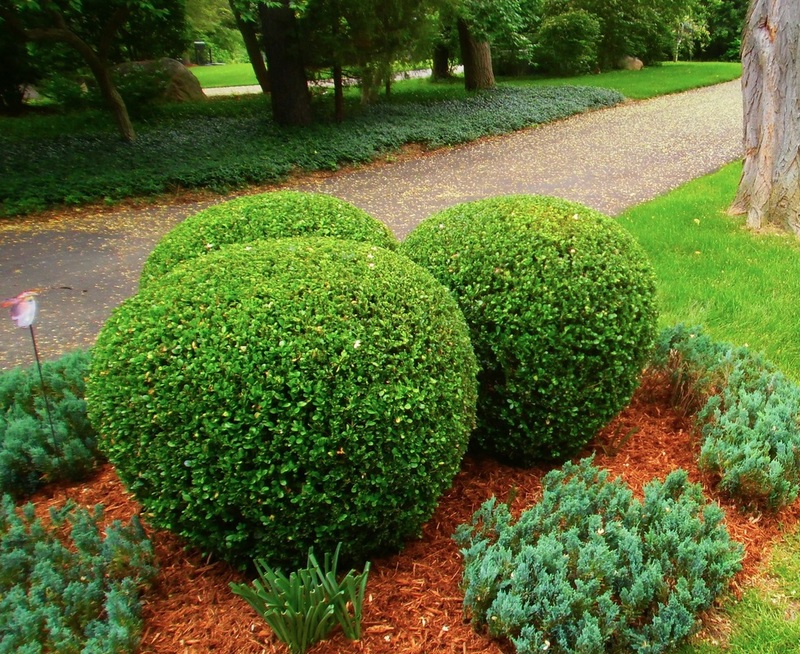 Not only is mulch attractive, it can help keep new weeds from sprouting and conserve soil moisture. Gutter Cleaning - Over time, gutters fill up with leaves, sticks, pine needles and more. If plugged the gutters will not get water away from the house like they are suppose to. We can clean all debris from your gutters and make sure they are working properly. Boxwoods and junipers in Ann Arbor MI.